Texans in Congress mostly backed President Donald Trump's recent airstrikes in Syria, according to a Tribune survey of the delegation. Editor's note: This story was updated to include additional responses from members of the Texas delegation. 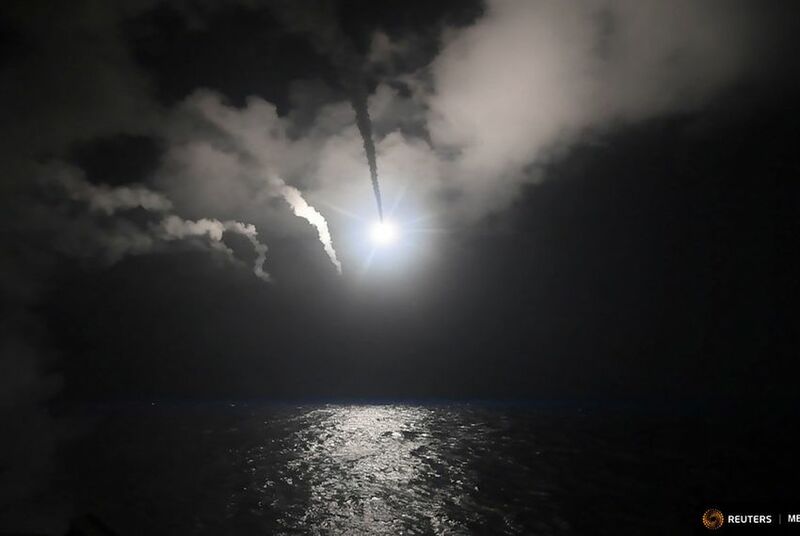 WASHINGTON – In the immediate aftermath of President Donald Trump ordering airstrikes against Syria, Texans in Congress have largely backed the move, though several have urged the president to seek congressional authorization for further action, according to a Tribune survey of the delegation. Texas Republicans further applauded Trump stylistically, calling his actions "decisive" and praising his leadership. The tone struck a sharp difference from the last time a president considered military action in Syria. Back in 2012, President Obama boxed himself in by declaring that any effort by President Bashar al-Assad to use chemical weapons would be viewed as a "red line" threat. After Assad crossed that line in late 2013, Obama found himself stuck between following through on his word and taking a deeply unpopular military action. He ultimately threw the question to Congress, asking for legislative authorization to take force in Syria. The vote was pulled as many Republicans and Democrats said they would oppose the use of force. At the time, every Republican in the Texas delegation who took a position on the issue said they were against Obama's request, according to whip counts collected by media organizations at the time. Yet in the present day, nearly every Texas Republican in Congress favors Trump's actions on Syria. And at least two Republicans, U.S. Reps. Randy Weber and Roger Williams, directly blamed Obama for Assad's aggression. They argued the new chemical attacks were a result of Obama not following through on military action in the past – even though they opposed that very action at the time.